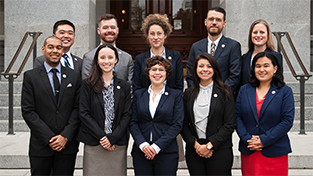 A common question posed to CCST Science Fellows outside of the Legislature is “What do Science Fellows Do?” For the 2018 Class of CCST Science Fellows, the answer to this question was just about everything! CCST Science Fellows participate in key policy and budget negotiations. Chris Francis, placed in the Senate Budget and Fiscal Review Committee, worked as the lead consultant on criminal justice and public safety issues. He analyzed the feasibility of budget proposals by talking with departments, lobbyists and policy committees, and led negotiations to support the Senate’s policy agenda. Due to his many successes in this role, Chris is staying on as a Principal Consultant in the Senate Budget and Fiscal Review Committee. 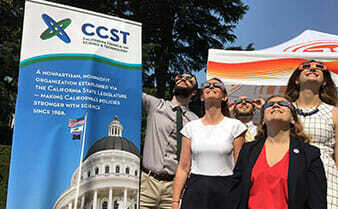 CCST Science Fellows assist the Legislature in its oversight role over state agencies and track the implementation of new policies. Magdalena Gutowska, placed in the Senate Committee on Environmental Quality, staffed an informational hearing on California’s implementation of climate adaptation policies. 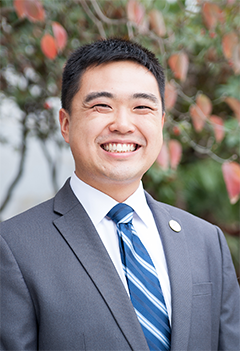 Jeffery Song, placed in the Senate Committee on Transportation & Housing, staffed an informational hearing on the promulgation of California’s automated vehicle regulations. Jeffery is currently a Postdoctoral Researcher in the 3 Revolutions Future Mobility Program at UC Davis. CCST Science Fellows analyze and shape legislation. Naomi Ondrasek, placed in the Assembly Committee on Education, applied her background in neuroscience to work on bills related to special and STEM education. Naomi now works as a Policy Advisor and Senior Researcher at the Learning Policy Institute. Dylan Chapple, placed in the Assembly Committee on Natural Resources, applied his background in environmental studies to work on bills related to climate change, forestry management, and air pollution. Dylan is now an Adaptive Management Liaison for the Delta Stewardship Council. CCST Science Fellows also make an impact beyond policy analysis. Monica Montano, placed in the Assembly Health Committee, was elected as the Operations Director for the Capitol LGBTQ Association. In that role, Monica refined her skills in event planning, and organizational coordination, which prepared her for her current job as the Graduate Medical Director for Physicians for a Healthy California. 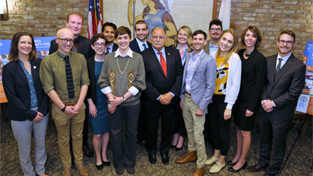 CCST Science Fellows become integral team members of their legislative offices. Amy Gilson, placed in the Assembly Environmental Safety & Toxic Materials Committee helped staff the Chair of the committee, Assemblymember Bill Quirk, on a variety of policy areas beyond her committee assignment, including Health, Transportation, and Higher Education. In the coming year, she is continuing on as a Legislative Aide for Assemblymember Bill Quirk. CCST Science Fellows suggest ideas for new laws. Sandra Nakagawa, placed in Assembly Judiciary Committee, worked with the Chair of the committee, Assemblymember Mark Stone, to get AB 2192 passed and signed into law, which provides open access to state-funded research articles. Sandra used her background in academic research to convene key stakeholders and promote greater access to scientific knowledge. Sandra is currently a Legislative Aide for Assemblymember Mark Stone. CCST Science Fellows do policy research. In her placement in the Senate Office of Research, Teresa Feo conducted in-depth research on a wide range of policy issues at the request of various Senate offices. Her projects included research on optimizing the benefits of state-funded research, and the recent catastrophic collapse of northern California’s Kelp Forests, both which were published as SOR Policy Matters reports. Teresa is currently working as a Program Associate at CCST. CCST Science Fellows lead stakeholder meetings on key policy issues. Keith Cialino, placed in the Assembly Water, Parks & Wildlife Committee, organized a roundtable discussion on the Salton Sea. This entailed a trip to Palm Desert to facilitate an important conversation for his boss, Assemblymember Eduardo Garcia, with stakeholders about issues that will need to be addressed in the coming years. This experience helped Keith refine his moderating and negotiation skills, which will help him in his new job as a consultant in the Water, Parks & Wildlife Committee. These are just a few examples of what the 2018 CCST Science Fellows accomplished this year. 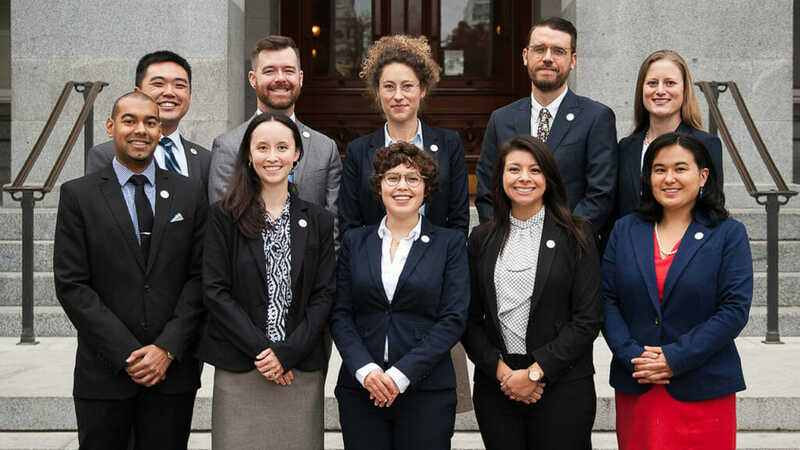 From our perspective as 2018 CCST Science Fellows, the fellowship year was a rich and rewarding experience, being able to work with key decision makers, establishing relationships throughout California’s policy landscape, and leaving an indelible impact on our future careers. Now, on to the next class!